Santa Sabina first served as a house of spiritual formation for women discerning their call to religious life as a Dominican Sister of San Rafael. In 1970 the Sisters opened Santa Sabina as a retreat and conference center, extending our commitment to the contemplative life. From the quiet of the inner courtyard garden and adjoining chapel, the spirit of simplicity and tranquility permeates the Center. 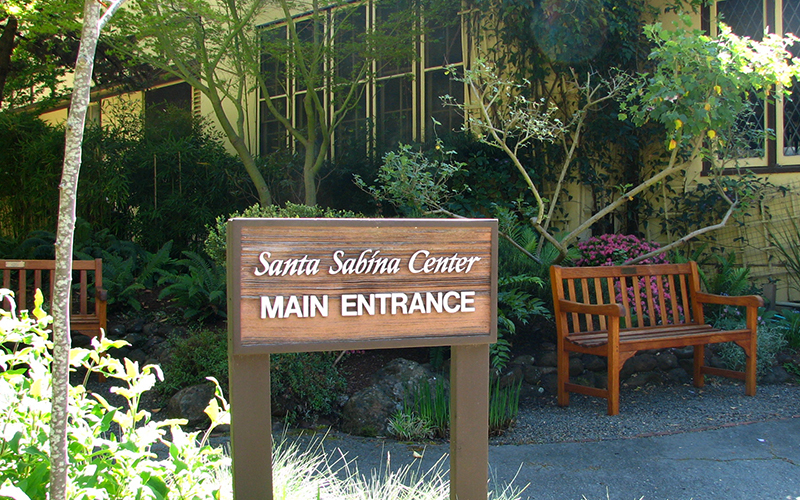 Santa Sabina offers a place of respite and beauty for groups and individuals who come for the Center’s scheduled retreats, other programs, or conferences and retreats of other groups. Santa Sabina, honoring its history and monastic roots, welcomes spiritual seekers of all traditions to explore contemplative ways of being. Originally, Santa Sabina was the congregation's novitiate. These are the novices and postulants at prayer. “With our lives thus centered in the Lord, we seek to extend His mission of truth and love in our ministry, bringing the Gospel to bear with depth and compassion on the critical issues of our times.